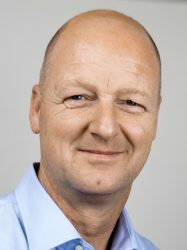 Christoph Kreis is Sales Manager for Dallmeier electronic GmbH & Co.KG. With an academic background in forestry Christoph saw an opportunity to apply his business development skills in a different industry. In 2006, he was hired as senior sales manager for a global supplier of e-passport and related technologies. He then became area sales manager with an engineering company. Since 2014, he has been leveraging his wide experience as a member of the Dallmeier sales team, focusing on the airport industry. Christoph adapts his previously gained unique insights into African and Asian markets, combined with his strong personal skills, to developing tailor-made security solutions for demanding projects around the world.